5 Vacuum Bags Filter. We warrant that the item is in the condition described above. While great care is taken, any errors or omissions in the item details are unintentional. Model DB21. Suitable for Eureka Victory Volta Series. This is theonly communication line we use. While great care is taken, any errors or omissions in the item details are unintentional. See Pictures for Details. Volta: 460 470 U12 U13 U60 U70 1920 U1032 U1044. Eureka: C10 C15 C20 C25 C30 C35 C40 C45. vacuum cleanerbags. 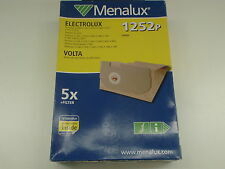 BAGS FOR VOLTA-EUREKA-ELECTROLUX. Bank A/C details ar available on checkout. While all care is taken, any errors or omissions in the item details is unintentional. By communicating, we’ll find an agreeable solution to any problem. Double Walled. Double Glued. Suits Models A few words to assist your buying experience. Bravo C9002A. Boss C9334AT. Suitable for Eureka models. 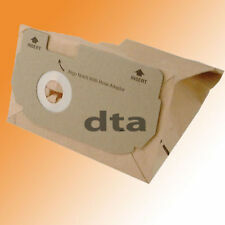 Volta Upright au4300Vacuum Cleaner Bags, Smartvac Eureka, smartvac Electrolux. Quality paper bags from the highest standards. While all care is taken, any errors or omissions in the item details is unintentional. Conditions of Sale. Eureka Mignon Coffee Grinder 500g Hopper Complete. EUKD286, 24-472. 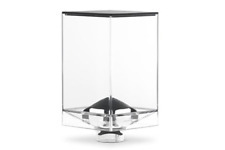 Coffee Hopper Complete 1.4kg Capacity Eureka OD180mm H250mm Neck-OD 50mm, EUKD265. Eureka 5207.0000, 5107.0000, 5107.0010. Nuova Simonelli 15000056. Models:MDX, MDXA. Can also be used with the Nuova Simonelli MCF and Microbar Bean to Cup Coffee Machine. Nuova Simonelli 15800039, 15800045. Models: Grinta, Microbar. Eureka MAC50, MAC50CP. Models: MCF, MIGNON MCF. 39-008, Eureka MAC60CP, MAC60. Ginding Burrs Pair Eureka RH external ø 60 mm - internal ø 38 mm. Eureka 473. Eureka 490. Whirlpool Washing Machine. Whirlpool Eureka Washing Machine. Shock Absorber Suspension Leg. Whirlpool Eureka Washing Machine. 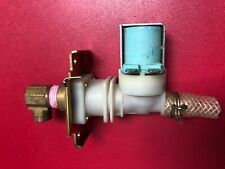 Cold Water Inlet Valve. Genuine part. Whirlpool Eureka Washing Machine. Motor Drum Drive Belt. Whirlpool Eureka. Motor Carbon Brushes Brush Pair. Front Loader Washing Machine. 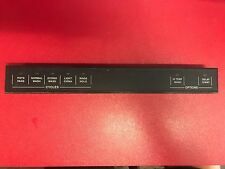 Viking Dishwasher User Interface Board 025179-000 Free Shipping! It was tested on a working appliance by a technician before it was removed. on a working appliance by a technician before it was removed. We would be happy to try and resolve any problems you may have with your order. 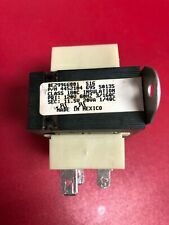 Bosch Dishwasher Water Valve 425458 Bosch Dishwasher Water Valve 425458This item is used and in good working condition. It was tested on a working appliance by a technician before it was removed. on a working appliance by a technician before it was removed. On a working appliance by a technician before it was removed. We would be happy to try and resolve any problems you may have with your order. It was tested on a working appliance by a technician before it was removed. We would be happy to try and resolve any problems you may have with your order. Suit to : WFE1490CW WFE1490DW. WHIRLPOOL WASHING MACHINE DOOR GASKET. Suits Model's: WFS1073DD, WFS1273AW, WFS1073CD, WFS1275CD, WFS1071BW, WFS1274AW, WFS1273BW, WFS1273BD, WFS1073DD, WFS1071AW, WFS1274CD. WFE1070BD WFE1075BD WFE1485BD. WHIRLPOOL WASHING MACHINE DOOR GASKET. Suits Model's. GENUINE Whirlpool Eureka Washing Machine Motor Drum Drive Belt. SUIT models : WFE1070BD WFE1075BDWFE1485BD. SUIT models : WFE1070BD WFE1075BD. GENUINE Whirlpool Eureka Washing Machine Motor Drum Drive Belt. WHIRLPOOL WASHING MACHINE MOTOR CARBON BRUSH. Mounting holes 24mm apart. Locating spikes 18.5mm apart. Mounting holes 19mm back from front end of brushholder. Front locating spike is 9mm from front of brushholder. Whirlpool AWO D4540 PIPE hose 461971409182. 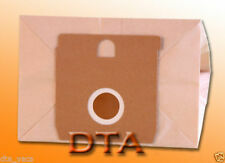 Manufacturer's Code - 461971409182 4812 530 49392 Bend disp.-tub Eureka. Removed from Whirlpool AWO/D 45140. 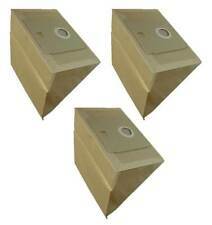 May fit with another whirlpool washing machine - AWO D5556 AWO D4305 / AWO R4205 / WWDL 6200. By communicating, we’ll find an agreeable solution to any problem. Double Walled. Unbleached Filter Paper. A few words to assist your buying experience. Volta: U60, U70, ELITE 1600,1032, 1034, 1042, 1044, COMPACT 1300. Double Glued. Double Walled. A few words to assist your buying experience. Volta: U60, U70, ELITE 1600,1032, 1034, 1042, 1044, COMPACT 1300. A few words to assist your buying experience. Double Walled. Suit to : WFE1470DW WFE1480DW. Suit to : WFE1070BD WFE1075BD WFE1485B.